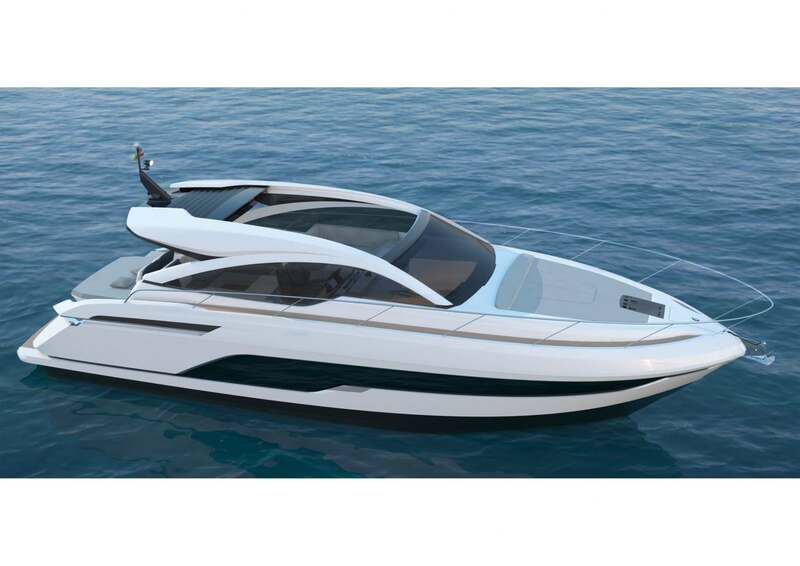 Luxury British motor yacht manufacturer, Fairline Yachts, unveils imagery and the specification of its stunning Targa 43 OPEN following the announcement of the all-new model. Set to launch at Cannes Yachting Festival 2018, the Targa 43 OPEN express cruiser is set to become the spiritual successor to the original, and phenomenally popular, Targa 43 with almost 300 produced by Fairline between 1997-2005 – a model which remains highly sought after in the brokerage market. The new Targa 43 OPEN’s cockpit boasts a large sun bed over the tender garage, expansive cockpit seating and comfortable companion seating opposite the helm – the perfect arrangement for maximising enjoyment on board. There are a choice of twin engine options from Volvo, the D6-375 with sterndrives and two IPS options, the IPS500 and IPS600 – the latter expected to achieve a minimum fully-loaded speed of 34 knots. There is also the ability to add a Seakeeper NG5 gyroscopic stabiliser, ensuring the highest level of comfort on board. Prices start from £357,000 (excluding taxes). The Targa 43 OPEN is set to launch at Cannes Yachting Festival 2018.